The title 'Heavy Sleep' is meant to reference not only the eponymous opening work on this Album, but also to note the phrase’s allusion to death and eternal sleep. Each work on this album relates either directly or spiritually to the theme of death, rebirth or both. Voices of other composers or allusions to their own or others’ works are also found throughout these pieces, often appearing as subtle homage to composers of the past: In the Andres work there are echos of both Bach and Chopin; in the Fairouz a direct tribute to Ligeti; in the Kurtag, Reger and Siloti arrangements there are reflections on Bach through the art of transcription; and in the original works of Bach himself, particularly in the great B minor Fugue, symbolic voices of God and man. Together, these works offer a touching perspective to the close spiritual connectivity we all share as artists and as human beings, culture to culture, past and present. Pianist Bruce Levingston is one of today’s leading figures in contemporary music. Many of the world’s most important composers have written works for him and his Carnegie Hall and Lincoln Center world premiere performances of their works have won notable critical acclaim. The New York Times has called him “one of today’s most adventurous musicians” and praises his performances as “graceful”, “dreamy", and “hauntingly serene”. The New Yorker has described him as “elegant and engaging... a poetic pianist who has a gift for glamorous programming”, while The Washington Post has lauded his “wonderfully even touch” and “timeless reverie, which Levingston projected beautifully”. Timo Andres is an acclaimed composer and pianist. The New Yorker writes that Andres achieves "an unhurried grandeur that has rarely been felt in American music since John Adams came on the scene". 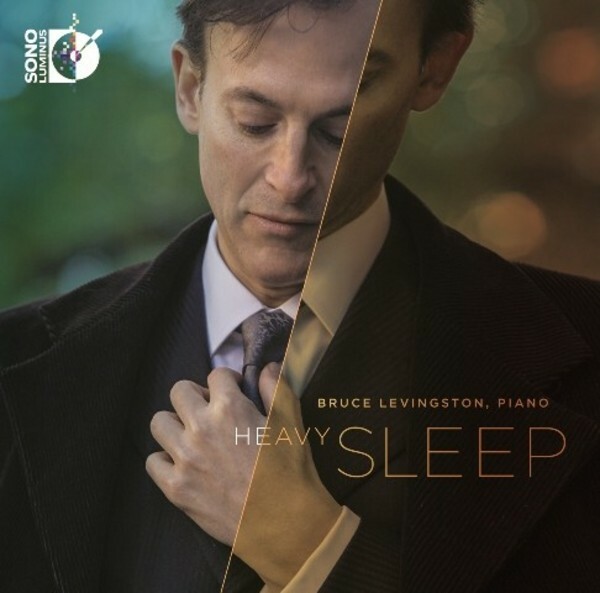 Heavy Sleep was composed especially for Bruce Levingston and commissioned by Premiere Commission, Inc. The title is derived from the haunting poem 'Nocturne’ by the Swedish poet Tomas Tranströmer.